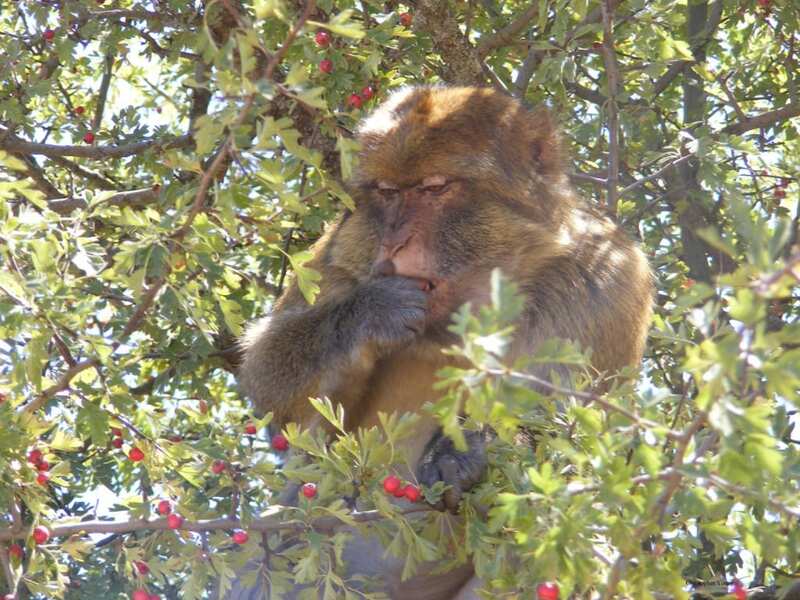 Only a few kilometers from the Green group´s home range, there is a tourist area with an appurtenant monkey group. 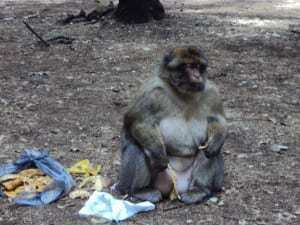 People like to come there to see the monkeys and feed them. And the latter has, well..some consequences, as you can see on the photo below. Me and Chris found this male Barbary macaque Biggie (as we formally called him, and no, it wasn´t hard to find him..) munching away on bread and crêpes out of a whole bag full of it that he had taken from tourists. He was even picky enough to leave the crust of the stolen goods. The diet of the two separate groups couldn´t be more different. The Green group´s diet consists of a potpourri of mushrooms, acorn, bugs, berries, roots and shoots; depending on the season (photo below). 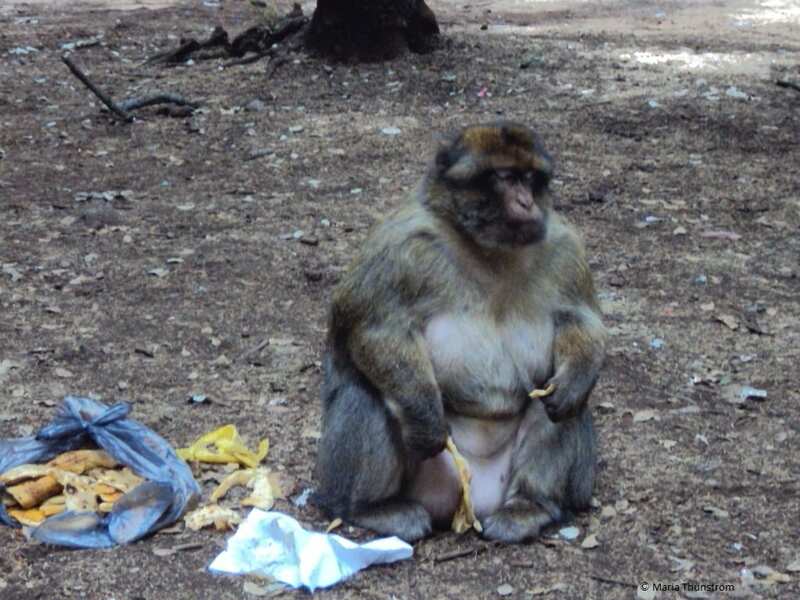 Their picky neighbors, including Biggie, eat peanuts, bread, coca cola (! ), chocolate, and an occasional fruit. As convenient as it must be to be fed all year round, the health aspects cannot be as fun..